At work: If you're a manager, show your team you appreciate their hard work on a project with a fun reward when it's completed. If someone at your company is retiring or moving on to a new endeavor, show thanks with a gift that acknowledges you valued their contributions. Employees who are celebrating work anniversaries deserve thank you gifts for their dedication, while bosses who are a dream to work with are also worth appreciating. At school: Teachers are some of the most dedicated professionals around, and they often go above and beyond their job descriptions to make a meaningful impact in their students' lives. As a parent, you can show thanks for your children's instructors with thank you gifts, or browse appreciation gift ideas together with your child to pick out something unique for their teacher. At community events: Volunteers who dedicate their time and service to a worthy cause will appreciate a token of the organizer's appreciation in a thoughtful or fun gift. If you give thank you gifts that also feature the event's branding, whenever they use it, they'll be reminded of the event. The gift can even help spread the word for the cause when it's used, as well. In your personal life: If you're ever stumped about how to show your appreciation from someone who has helped you in your personal life, check Successories for thank you gift ideas. We have hundreds of different types of enjoyable gifts people of all ages will love. Whether someone has watched your house for you while you were on vacation or baby-sat for your kids in a time of need, having appreciation gifts on hand is a great idea because there are always reasons to be thankful for the people in our lives. From totes and inspirational cubes, to tumblers and desk clocks, there's an endless supply of beautiful and meaningful thank you gifts to choose from at Successories. When thanks are due, it's great to reward someone right away so that they know you're grateful and that you value what they've done. If you're a professional, you can get thank you gifts based on your upcoming work calendar events. 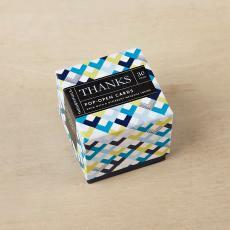 For thank you gifts for outside of work, having some on-hand enables you to give thoughtful gifts quickly after you're thankful for something. Personalizing thank you gifts for special occasions means a lot to the receivers. You'll love the wide variety of thank you gifts available at affordable prices from Successories. Browse thank you gift ideas here, and check back often to see new items we've added. Brilliant Thank You Gift. Every time your client looks at the time, they will think of you.